Happy Tuesday all, we hope your week is off to a good start! 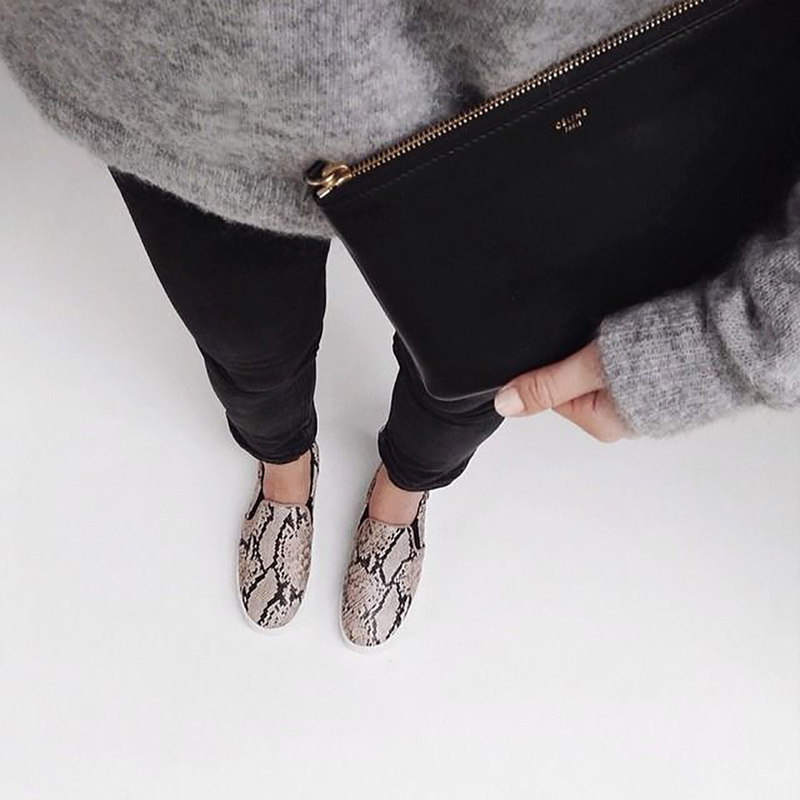 Today we’re looking at some statement snake prints that are fast becoming the accessory du jour this Spring. 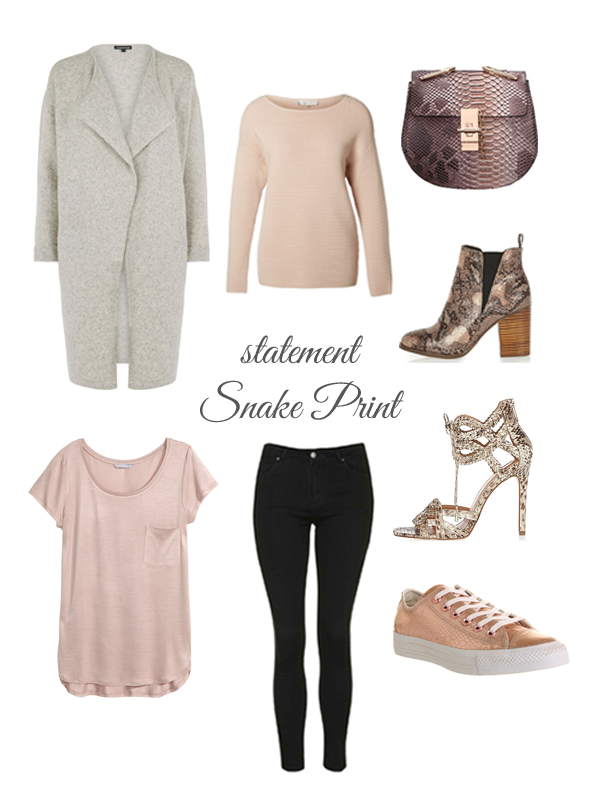 From day to night to weekend, there’s a snake style for every occasion and we’ve styled a few of our favourites below. They all add the perfect pop to a neutral palette of everyday basics in blush and grey! I was also delighted to pick up these shoes in Penneys recently. A bargain at only €11, so get them while they’re hot! My next purchase is definitely the saddle bag above – Chloe inspired for seriously less, it would be plain rude not to!! 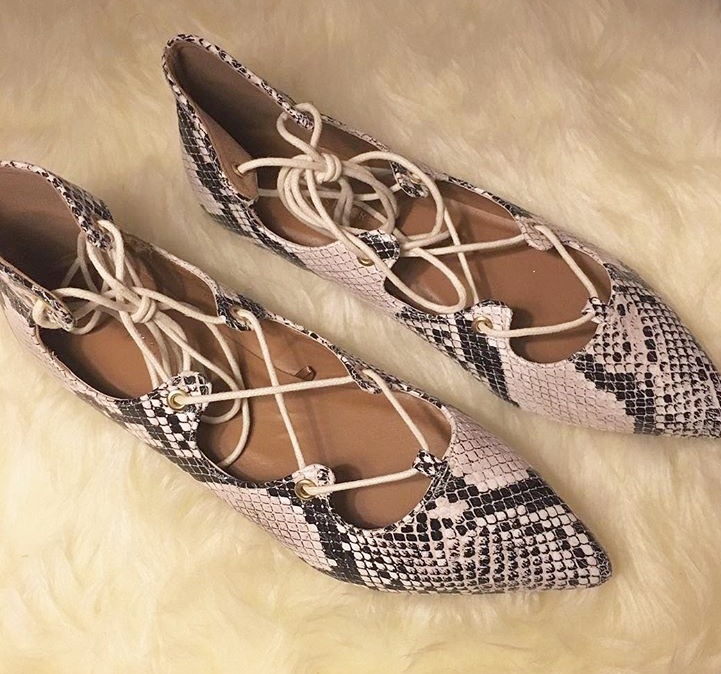 Are you loving snakeskin too? Let us know in the comments below!